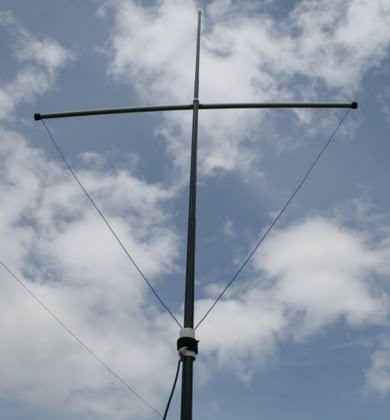 Having read about the "Hen-Tenna", an unusual rectangular antenna design for the high HF and low VHF bands, I wanted to try one of these on four metres. After that I have realized the Yagi-Mag (feed slot magnetic) for the 2 m with good performance (you see iw0ffk site) I have constructed this for the 70 MHz. This is the result, simulation and real. 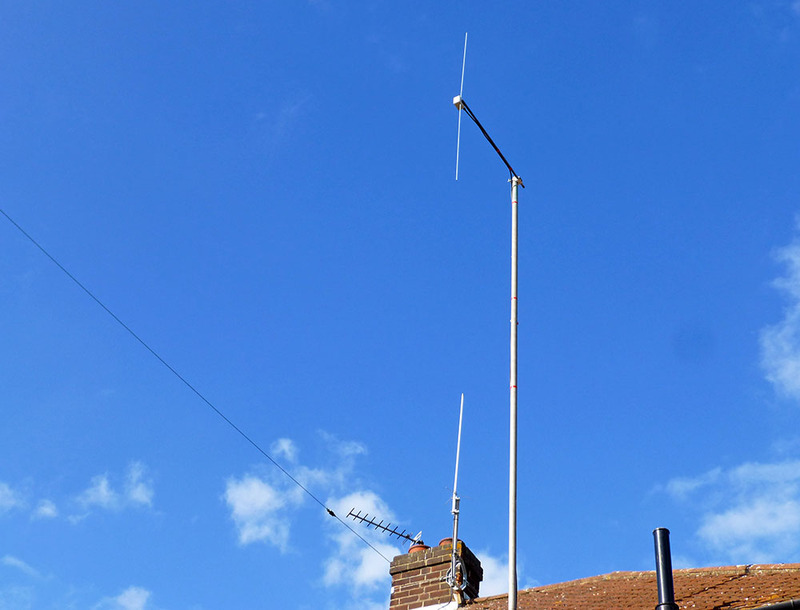 Having just obtained an AKD 4001 and after the success of the 6 metre Delta Loop, which included working most of Europe in a day during a recent lift, I decided to have a go at one for 4 metres. Not drawn is the fixing point of the female N-connector and the center conductor on upper part of hub. We fixed the antenna with a 50 mm diameter aluminium pipe, which was welded onto the lower hub. 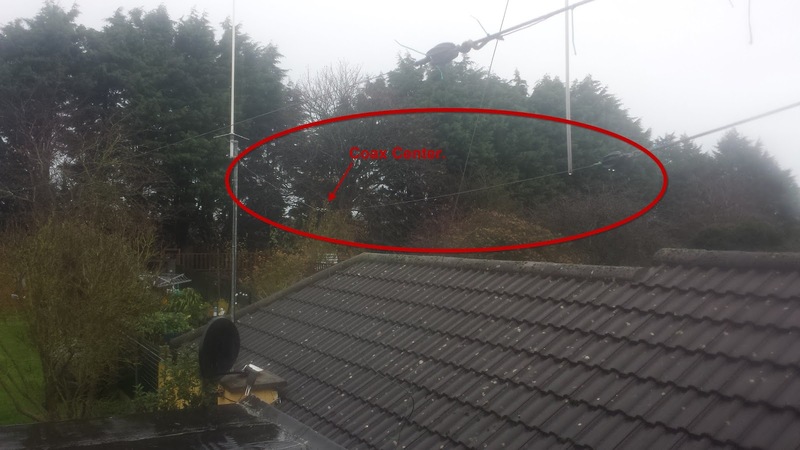 The quarter wave is a good reliable antenna, and SWR is very robust and not affected by rain or snow etc. It can be built with very predictable results, even near trees or buildings, due to it’s low feed impedance. In contrast to the end-fed designs, which can be difficult to set up because of their narrow bandwidth, this alternative uses a low-impedance centre-feed, and hence offers a broader bandwidth. Today, I finally built a ½ λ dipole for 4m,using two 1 metre lengths of 6mm aluminium tube, and all terminations are inside a waterproof electrical box. I've heard a couple of stations recently discussing using a Moxon rectangle antenna on 4m, but had to go looking in my books to discover what they were talking about. The Vortex ‘Super J-Pole’ Antenna consists of a five eighth wave vertical radiator, a half wave tuning section and a half wave top section. At the base, a quarter wave matching stub forms the classic ‘J Shape’. 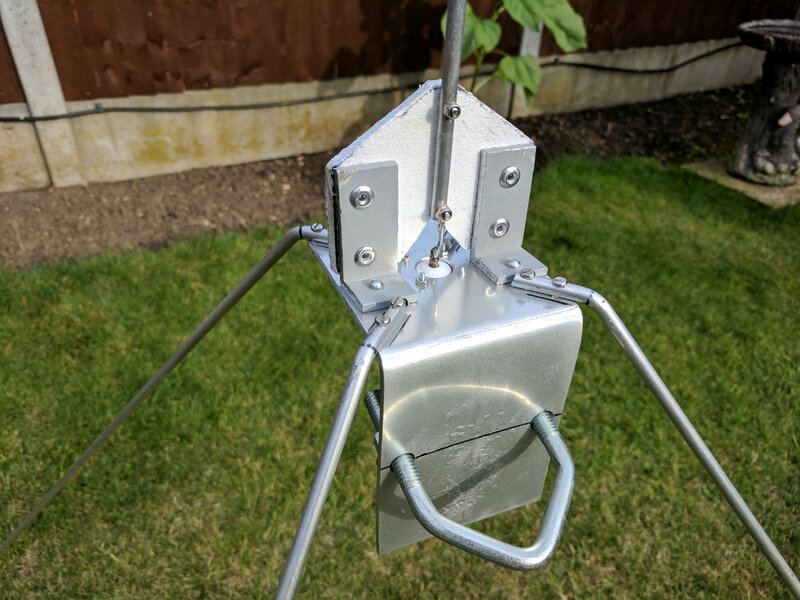 A year or so ago I bought the HB9CV from Moonraker, The antenna was easy to put together, but the instructions are not very clear, you have to work out yourself how to fix the driven element. Inside the terminal box is an air spaced 'beehive trimmer' - not seen one of these for years! I decided to experiment around with wire dipoles, but these do not have any gain. 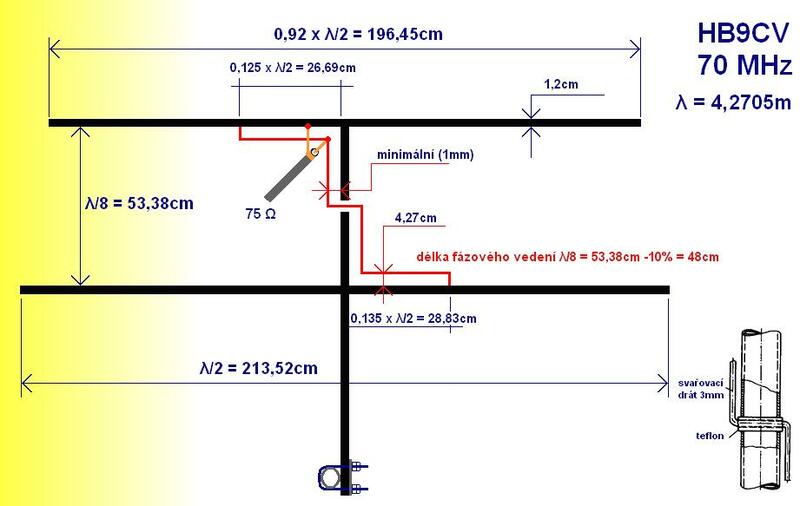 I measured the distance between the back wall and the house and I realised it was about three times the length of a dipole for 6m. 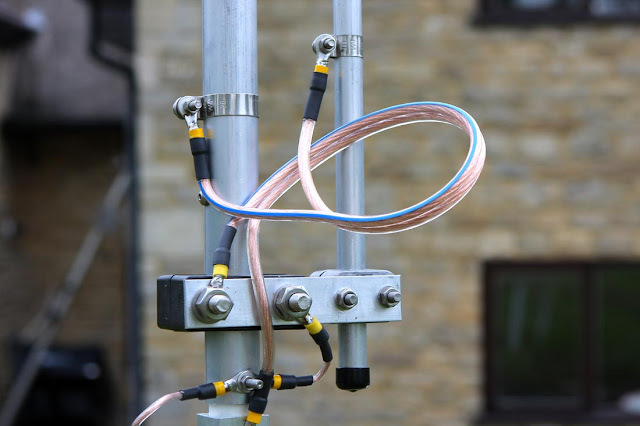 With the recent growth in activity of 4m FM, I have seen a number of requests for designs for vertical aerials for the band. This article describes three variants of a half-wave design which I have used successfully over the last few years.